The Christmas Eve gaiety is interrupted at midnight be the ringing of bells calling the families to "La Misa Del Gallo" (The Mass of the Rooster). It is called the "Mass of the Rooster" because it is said that the only time that a rooster crowed at midnight was on the day that Jesus was born. 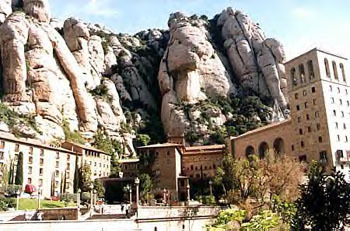 The most beautiful of these candlelight services is held at the monastery of Montserrat, high in the mountain near Barcelona, which is highlighted by a boy's choir describes as performing the Mass in "one pure voice."